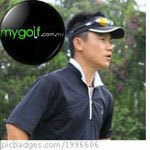 Malaysia Golfing Community :: View topic - Welcome Callaway Golf Malaysia to MyGolf.com.my! Welcome Callaway Golf Malaysia to MyGolf.com.my! We are proud to have Callaway Golf Malaysia on board as 'Friends of MyGolf.com.my'. Please take note that Callaway Golf Malaysia has the right to edit or delete without prior notice if the posting deems not fit. Once again, please join me in welcoming Callaway Golf Malaysia on board! Where can I get a Razr Fit driver sleeve adapter ? Used to be Callaway owner, but changes recently after being shout by Indo friend Kala all the way, but I tested the latest driver perform good. Still recommending friend for their Wedges Technically. Just got my second Callaway iron set. Love it! Welcome Callaway! Hope to see good things in future Keke. How to find genuine Callaway golf set?